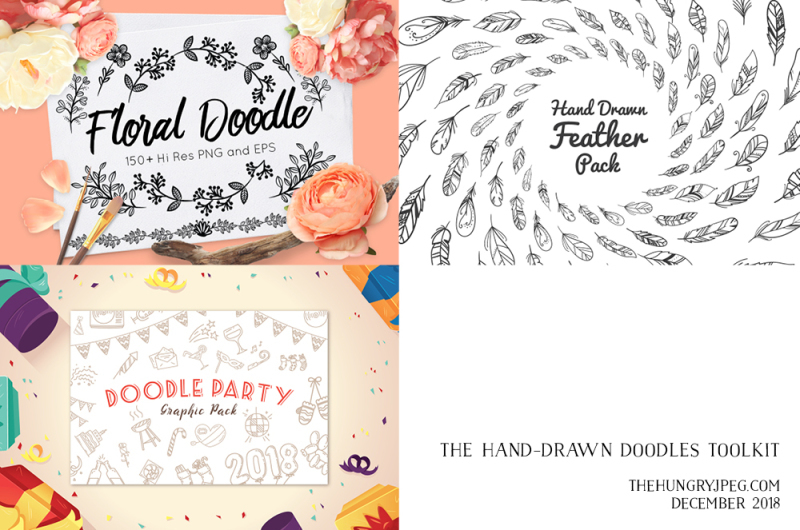 This time we prepared a lovely set of hand-drawn doodles. 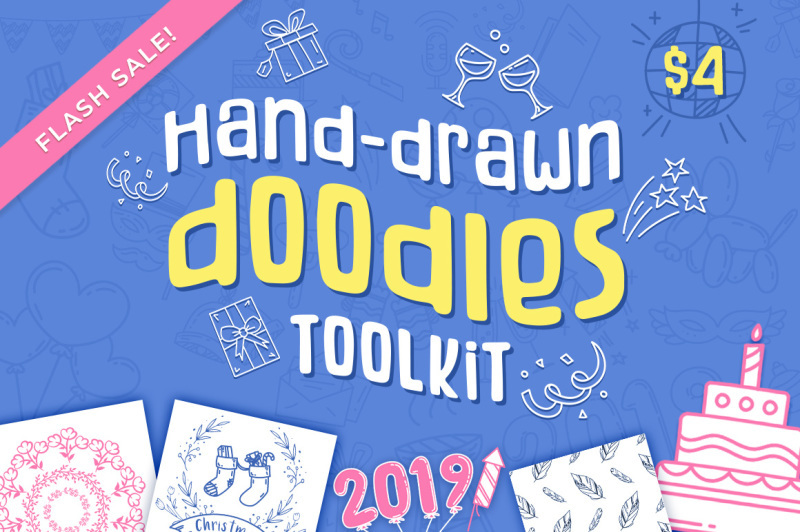 This pack comes with over 500 elements, such as party doodles, floral elements, branches, wreaths, and more! And you can get them all at a special price – just $4! Get it now and use it to finish your projects within minutes! As with all bundles sold on TheHungryJPEG.com, this bundle comes with our Complete License, at no extra cost.